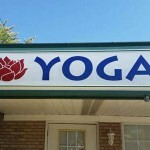 When you are driving down the road and see an elaborately decorated or catchy business sign design, you are likely to remember that business. The same is true with custom boat signage. With boat season slowing down, why not use the down time to have a unique and creative sign made especially for your boat. Whether your vessel is used for business or for pleasure, the Sign Guy in Asheville can design custom signs to give your boat unforgettable character. If you own your own charter boat, a catchy sign will not only advertise your business, but also people who walk by or cruise by will remember your business. Boat signage is used for safety purposes because it helps others to easily identify your vessel in case of an emergency. New technology and superior craftsmanship allows our signs to remain durable against salt, sun, sand, and wind, for a long-lasting customized look. As with all of our custom signs in Asheville, signage featuring creative artwork and design gives character to any boat, beach home, business storefront, or vehicle. If you think vehicle wraps are an impressive form of advertising, imagine what our lettering and graphics will do for your boat. Whether you want to add some bells and whistles to your private boat, or advertise to the masses, our signs in Asheville are designed by a highly experienced professional. When you want to send a memorable message and create an impressive image, The Sign Guy is guaranteed to make it happen. From sophisticated logos to simple lettering, boat signage is a necessity that you can’t afford to overlook. 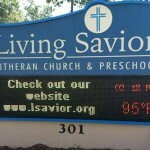 To learn more about our custom signs, designs, and artwork, contact us today.